Did you miss out on CSM 2019? Have no fear — here are some highlight moments! 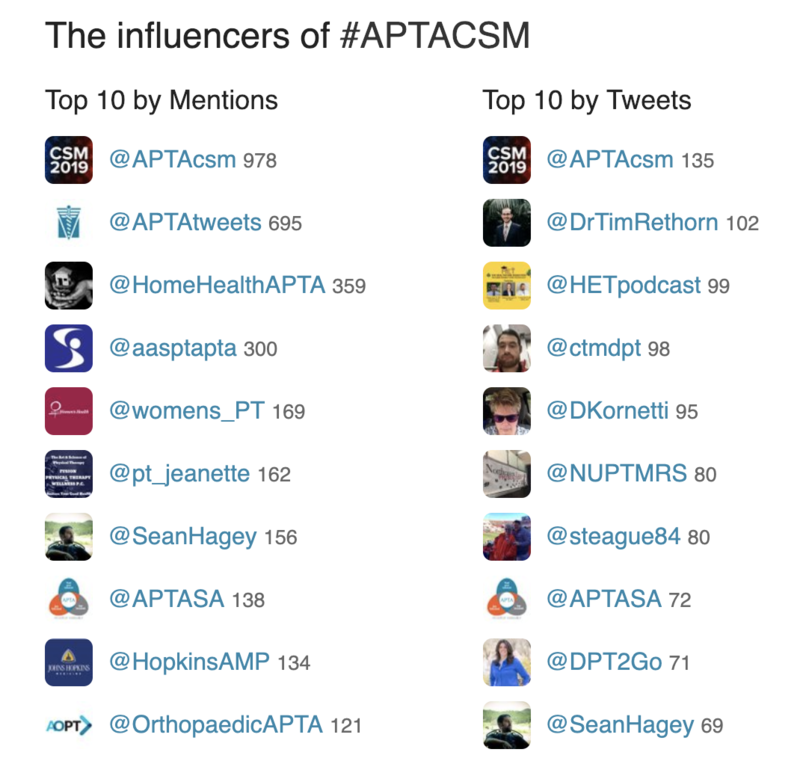 #APTACSM / #CSM2019 was a true hustle +bustle in the nation’s capital. In attendance was our own @TherapyInsiders with perspectives on the event and a challenge issued from trends observed this year. Thanks to everyone who joined us in DC for the second largest #APTACSM ever—full of outstanding programming, engagement, and passion! For more on the happenings, check out the analytics at Symplur Hashtags.